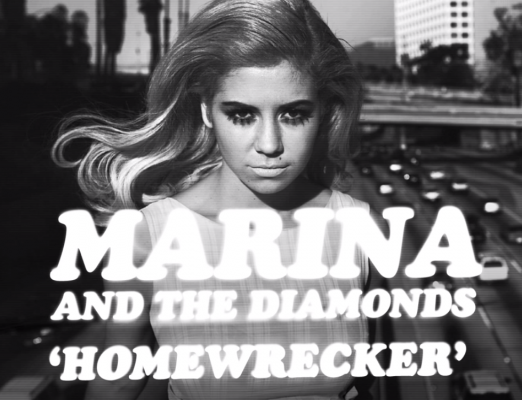 Marina & The Diamonds - "Homewrecker"
The now blonde Marina and her Diamonds are back with another new song from her much delayed second album Electra Heart. Although neither this nor “Starring Role” are the official first single from the album (that honour goes to “Primadonna”, out April 16th), they should hold over her fans for the time being. Whilst “Homewrecker” has a more typically mainstream synth-pop sound than anything on her first album, those soaring vocals and that spoken word bridge are very Marina. Electra Heart is released April 30th, but for the time being you can download this track in exchange for an email address over on Marina’s website or through Facebook.